Career Tips 07/06/2018 by "Launch Recruitment Team"
It’s a common occurrence; a valued employee resigns because they wanted to take a short period to pursue something else. 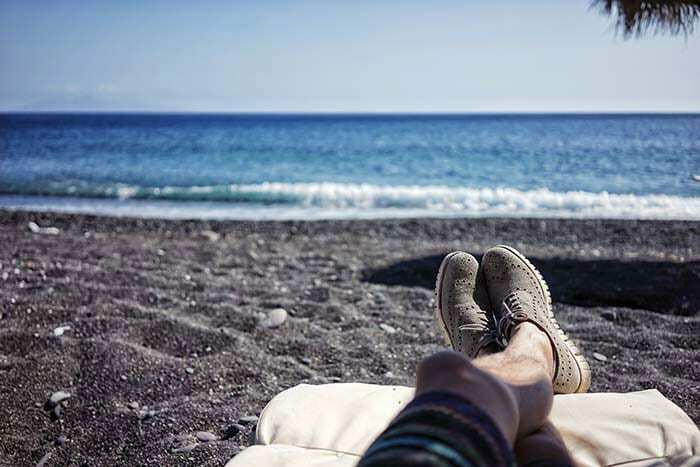 In many instances, employees would never even think to request a sabbatical from their employer, thus never knowing if the opportunity was there. However, for the many that do, the answer is too often: no. Fast forward a few weeks, and this valued employee is off pursuing their dreams or taking a much-needed break, and you are going through the gruelling process of re-hiring. Once you begin to add up the expenses of re-advertising, in addition to the time taken to interview, and re-interview; offering the sabbatical no longer seems like such a bad idea. The concept is most common in academia, government and defence, where after a certain period of employment, staff will have earned the right to take some time to pursue other opportunities or take a career break while having the peace of mind that their role is waiting for them when they’re ready to return. Today, as ‘culture’ is increasingly being touted as the most important foundation of a company’s internal operation, it is not surprising that sabbaticals are seeing an increase in popularity. Sabbaticals not only allow a company to retain their top talent, but they also provide a way to reward and encourage outside skills and experience. This results in a well rounded and happy team, while bringing skills, experience and knowledge to the job in future. The primary reason any company offers sabbaticals is to retain valued staff. In a competitive market, it makes sense that you let your valued employee travel the world, and come back to you with all of their worldly experiences. Rather than letting them go to a competitor. It is often also cheaper to retain this valued staff member and arrange a placeholder for them than to find someone new. Historically, the concept of a sabbatical was that employees could take every seventh year off. But today you can do whatever you like; whatever makes business sense and whatever suits you and your employee. You may want to have a minimum employment period before a sabbatical becomes an option. However, if you have a superstar employee in dire need of a break and they aren’t yet at the qualifying employment period, maybe it’s worth applying some flexibility. Setting up a policy on sabbaticals is the easiest way to ensure that your flexibility is not taken advantage of. A policy on sabbaticals will give employees something to look forward to. Knowing that they have a break coming up can incentivise staff to stay in their roles for longer. Setting a policy on sabbaticals also reflects your commitment to this perk. Openness to sabbaticals is an excellent employee benefit to mention when onboarding new staff. Offering sabbaticals will, of course, mean that there are going to be staff gaps at various times. Make a plan ahead of time to ensure you are covered. In your plan, ensure that there are terms around the notice a staff member must give you before taking their break. Give yourself plenty of time to arrange a place filler. Ask that employee if they have ideas on how their role could be covered. Sabbaticals are often an excellent opportunity for other staff to step up and gain experience or step into new area’s in the interim; thus keeping both the career breaker and the existing team satisfied. Show genuine interest to learn what the plans are for your employees sabbatical. This is an opportunity for you to listen and hear if they need a break because the work is getting to them, or they are just simply wanting to nourish themselves in a different way for a while. Whatever their plans, be sure to show support and encouragement; as well as excitement to welcome them back when they’re done. When someone comes back from a sabbatical it is crucial to have a re-onboarding process. Bring them in for an interview to discuss their experience, and what they want from their work now that they’re back. Then make sure there is a process to bring them up to speed on what’s been happening in the business, so their re-entry is not a dive into the deep end. Also, schedule check-in’s to see how they are settling back in. In summation, sabbaticals should be seriously considered by businesses across the board. Employees give so much of their time to their work; the simple gesture of offering them a break after a term of service is not only great for employee morale, it’s also better for businesses bottom line.